In less than a decade, Neil Adams has visited more than 100 national parks and historic sites, as well as dozens of state parks, historic buildings and other landmarks. Adams retired earlier than he expected when he was laid off from his job at Lockheed Martin in 2005. He collected his pension benefits, moved out of his Virginia apartment and embarked on the cross country trip he had always hoped to take. "I didn't want to do the typical retirement everyone does," he said. "I had this free spirit in me." 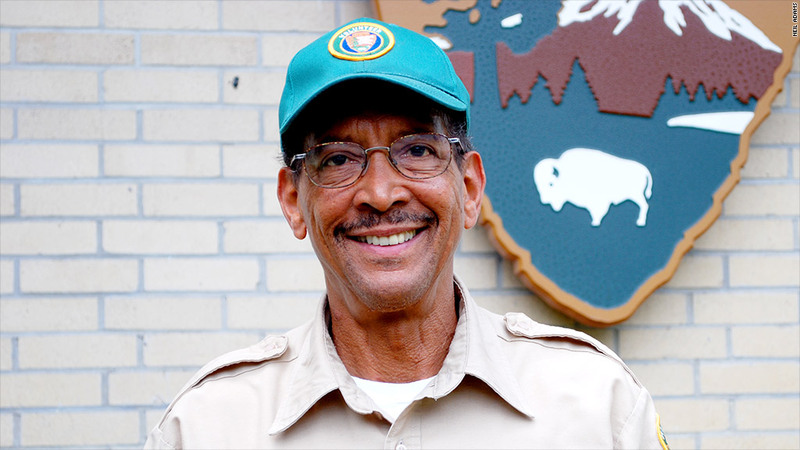 For around six years, he went on a series of roughly three-month volunteer stints at national parks across the country, ranging from the Grand Canyon to Yellowstone. He'd greet park visitors one day and assist with traffic jams caused by wild animals the next. In his spare time, he would visit other sites within an easy drive. During his travels, Adams lived for free in lodging provided by the parks. He eventually purchased a new truck for $42,000 and a trailer to live in for $27,000. Beyond that, his largest expenses were for gas and food. While he's settled down a bit after purchasing a home in Florida near his son last year, Adams plans to head to another national park in the summer of 2014.